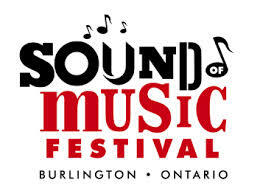 Sound of Music Festival is one of the summer’s most popular community attractions and over the course of its 35 year history, it has grown to become Canada’s Largest Free Music Festival. The event attracts over 210,000 visitors annually. The Festival features a unique blend of new and emerging artists, Canadian icons and returning fan favourites, located on several stages throughout our waterfront and downtown area. Complete with a Carnival, Downtown Streetfest, Parade, Family Zone, and a free music education program for children, the event offers something for everyone and appeals to a wide demographic. This application is for the Festival's 35th anniversary celebrations which include distinctive, special activities and enhanced programming supported by increased marketing and promotions. The Festival will take place June 7 to 15 at Burlington’s downtown and waterfront. There are several components to this milestone celebration. (1) Programming will be enhanced with (i) the presentation of higher caliber artists; and (ii) the expansion of the programming area and programming hours. (iii) A major " Kick Off Concert" will also be added on June 7th to increase attendance during the first weekend of programming. (iv) Programming on the smaller east stage will be enhanced by having themed performances featuring a particular country or culture on Saturday June 14. (v) Finally, the parade will be enhanced and moved to Saturday June 7 to attract more people. Post-parade performances will also be added. (2) The fireworks programming will be enhanced with short evening end celebrations on Thursday and Friday evenings and a major fireworks event on Saturday June 14 set to music from the Park stages. (3) The Downtown Streetfest will also be enhanced by animating the northern part of the street closure area on June 13, 14 and 15 with family entertainment. (4) Special promotional items and branding will also be developed to celebrate their history and anniversary and promote the project. These include pre-event and onsite signage, merchandise, etc. (5) Alumni events will also be organized to celebrate the 35th anniversary.